Why Exhibit? The European Meeting is an ideal investment, providing unparalleled access to prospective and current clients, and we have made a considerable effort to ensure you get the best return for your support. 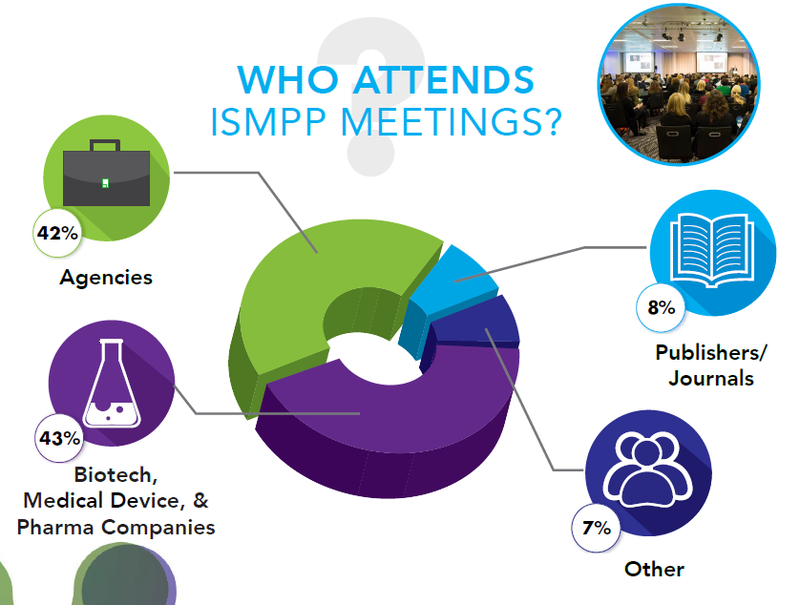 ISMPP anticipates 300 delegates will attend the 2019 European Meeting, with nearly half of the attendees representing pharmaceutical, biotechnology and device companies. With a target-rich audience such as this, you cannot afford to miss this exclusive opportunity to highlight your company's products and/or services! We have 21 exhibits stands to offer (3 metre and 2 metre), space is limited in the hall and we suggest you reserve your stand today. If exhibiting is not part of your current marketing plans and you still want to show your support, we also have an array of sponsorship opportunities to choose from. For inquiries, please contact Sue Marek at [email protected]. We are currently full! Please check back next year! etc.venues 155 Bishopsgate is located next to Liverpool Street Station in the City of London. The Exhibit Hall is located in the Galleria. Scroll down below for a floor plan. All networking will be held in this space. Multiple adjacent stands are available on a first priority basis. 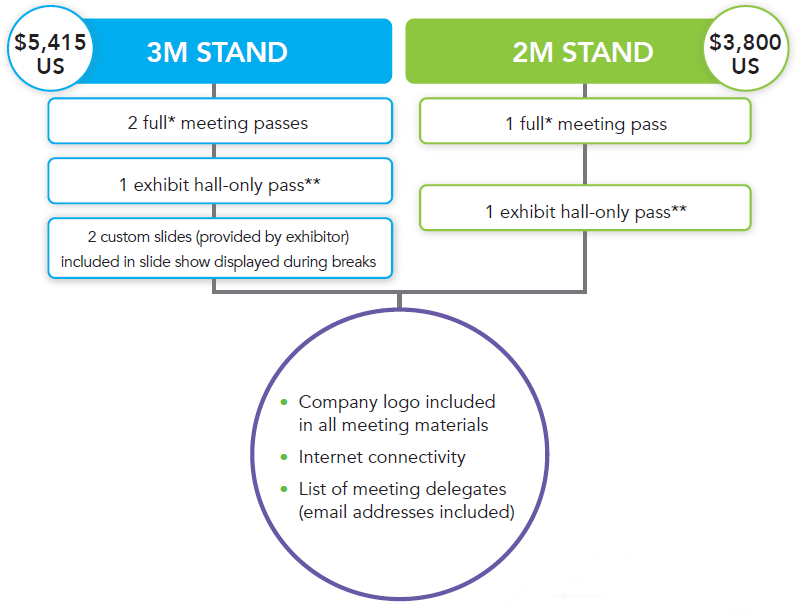 Exhibitors with displays greater than 2m wide are required to purchase a 3m exhibit stand. No exceptions! All pricing is reflected in US dollars (click for conversion rates). 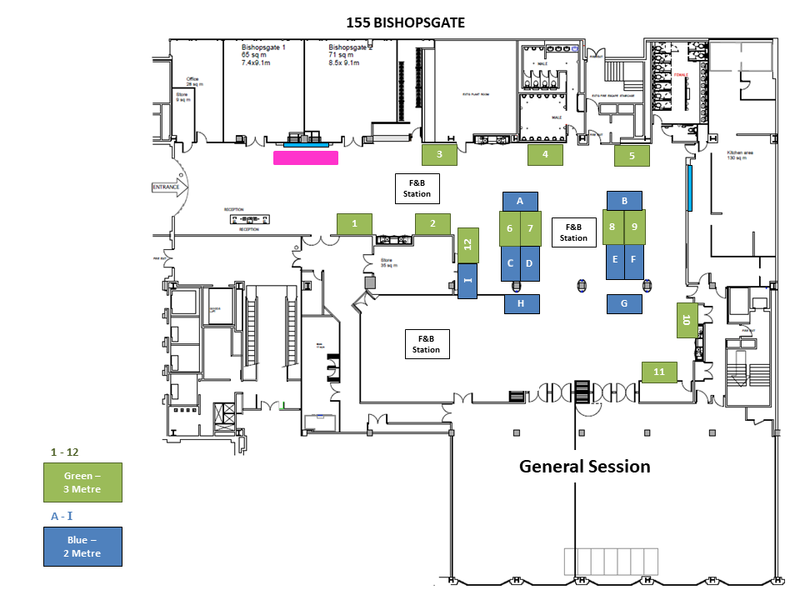 **Exhibit hall-only passes include access to the Exhibit Hall, all meals and breaks. Those with an exhibit hall-only pass will have the opportunity to purchase a reduced Full Meeting Pass at $500 US. 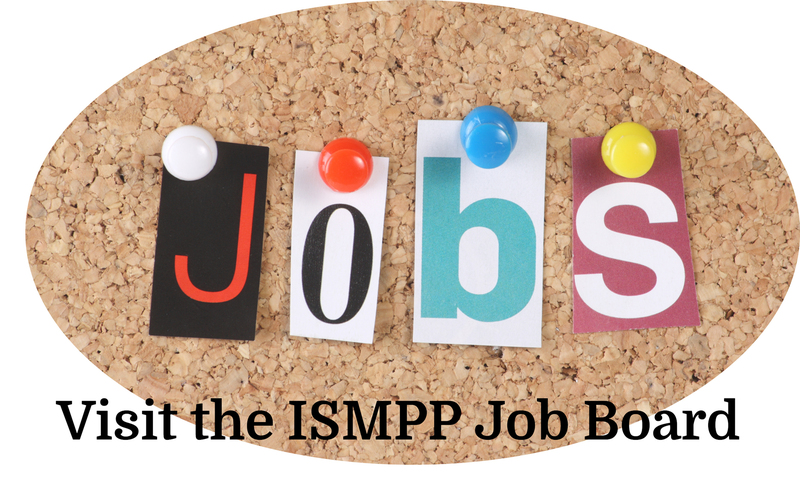 Sponsor the popular post-meeting “Highlights” ISMPP U, part of our monthly series of webinars accessible by more than1,500 medical publication professionals from around the world. 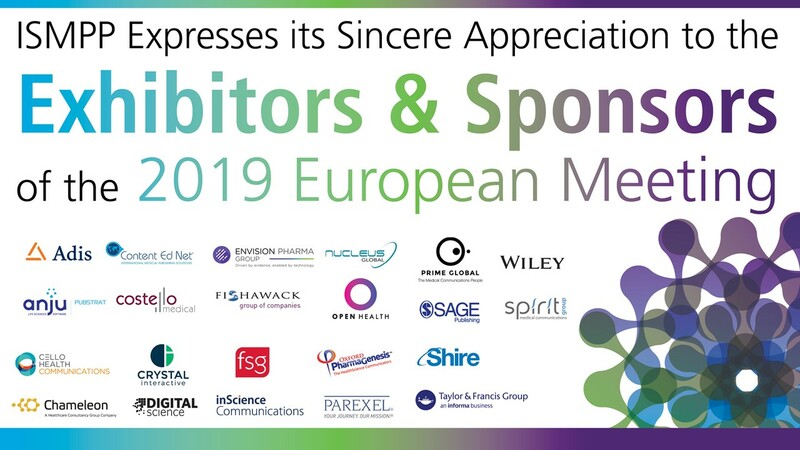 ISMPP would like to thank the Exhibitors and Sponsors of the 2019 European Meeting for their continued support of the program and society. ISMPP would like to thank the Media Partners of the 2019 European Meeting for their continued support of the program and society. ISMPP would like to thank the Event App Partner of the 2019 European Meeting for their continued support of the program and society.